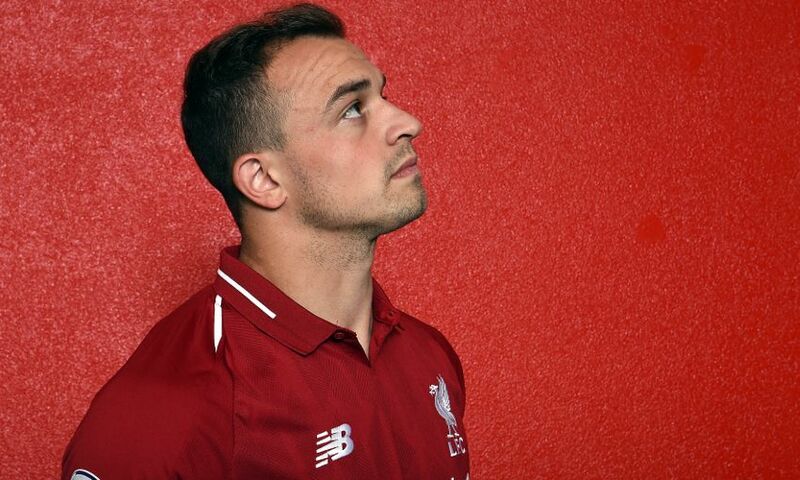 Xherdan Shaqiri will be involved in Liverpool’s tour of the United States later this month, Jürgen Klopp has confirmed. The Switzerland international, who completed a transfer from Stoke City on Friday night on a long-term deal, will be included in the Reds’ squad for the International Champions Cup tournament, which begins next weekend. Klopp told Liverpoolfc.com: “The strange thing is in the summer break is that I always have to tell the players they need to have more holidays because they constantly want to be in immediately, but they cannot do it. “It’s not allowed they have two weeks off and then they start the English Premier League season, which is really long and demanding. “Xherdan was in yesterday, which was nice. He is a nice fella. He will be back in the USA. Hopefully he will now take a holiday there because it will be pretty easy to join us there. “He will not come with us [from Liverpool] but he can be involved, which will be nice. Liverpool face ICC fixtures against Borussia Dortmund in Charlotte, Manchester City in East Rutherford, and Manchester United in Ann Arbor.